Ian White is the founder of this concept and has been a pioneer in researching the rare remedial qualities of the Bush. As a keynote speaker Ian now travels the world presenting seminars to health care professionals and the public on many health issues including emotional care and wellbeing. He is a regular contributor to many healthcare journals, radio and television and the author of 4 books. You may ask yourself what are Flower Remedies? They are not therapeutic drugs - but work on the mind, body and spirit and are obtained by extracting the healing vibrational quality from the most evolved part of the plant - the flowers. They work on an emotional level, harmonising negative feelings and belief patterns, held in the subconscious mind. 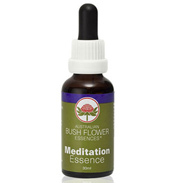 It’s not just the Australian Bush essences which are available and Nelsons also sell another range of flower essences based on Bach. How do they work? The concept of healing that was shared from such great healers as Hippocrates, Paracelsus, Hahnemaan, Bach and Steiner was a simple one. They all believed that good health was a result of emotional, spiritual and mental harmony and found that when they treated their patients’ emotional imbalances, their diseases were cured. Remember to review the other Australian Bush flower shelves for the full range of individual flower remedy drops which actually amount to 69 which can be used individually or combined to treat any specific applications. Use the reference guides on the product pages to select the appropriate remedy to suit your needs.